Taylor Payge Mosmeyer was welcomed into the arms of Jesus on August 19, 2018 at the age of 13. Our sweet angel was born June 6, 2005 in Oklahoma City to Billy and Lisa Mosmeyer. 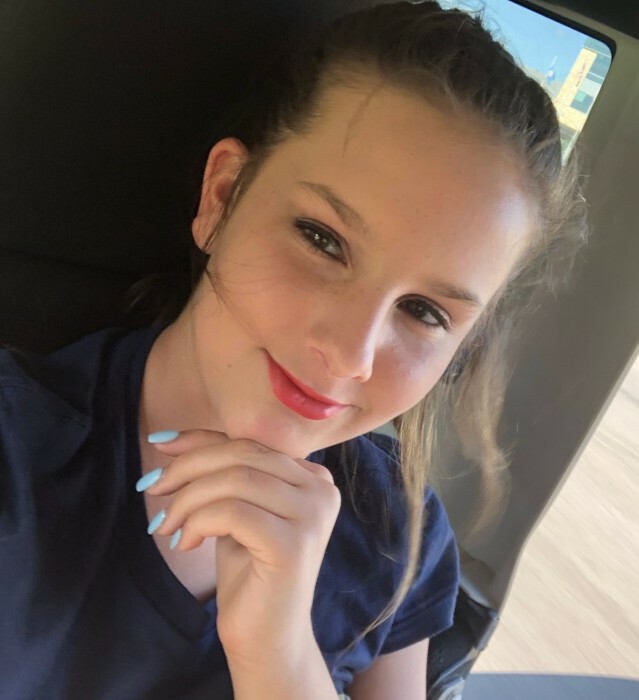 She grew up in Moore and was about to be in eight grade at Highland East where she was active in the National Junior Honor Society and a Web Leader. She was also a student library assistant and enjoyed helping others. Taylor’s heart and soul was Fast Pitch Softball. She most recently played for the Rebels, but will always be a Fireball. She also played Volleyball with Highland East and Club Volleyball with Elite. Taylor was the most kind, sweet-spirited girl who made friends wherever she went. Although she was very athletic and enjoyed sports, she wasn’t ashamed to be a princess at the same time. Sometimes it was hard to see her beautiful manicured nails because they were in a glove. She loved fashion and makeup and was a girl that could pull off being both a diva and a tomboy. Her laughter was contagious and her smile could light up a room. She will be missed by all who knew her. She is survived by her parents, Billy and Lisa Mosmeyer of the home; sister, Audrey Mosmeyer, also of the home; grandparents, Barbara South and Papa Ronnie of Moore, Grandma Terry Mosmeyer of Texas, and grandpa Bill Amen of Texas; great-grandparents, Nana Beverly Alexander and Ray of Tuttle; aunts, Alicia Swaim and David of Moore and Dawn Law (Taylor’s MeDawn) of Texas; uncles, Shannon Alexander and wife Jenny of Tuttle and Charles Dowlearn and wife Kristy of Byers; best friends that she grew up with and were more like family, Alexis and Collyn Swaim. In addition, she is survived by her pets whom she loved very much, Stitch the bearded dragon and her pitbull, Loki. She is also survived by a host of loving extended family and friends.